Imagine the bored mind of a space traveler as he looks around the room he has spent months in, seeing again the same high-tech equipment he has been looking at since he left Earth. Then imagine his pleased reaction when his eyes come across a leafy, green garden, and he moves over to pick some lettuce and peas for his lunch. Later, he spends some relaxing time tending the garden, and the worries of the day fade. This isn’t futuristic science fiction. For eight years, the Russian module of the International Space Station (ISS) hosted a plant-growing experiment that has a Campbell Scientific measurement and control datalogger at its heart. The Space Dynamics Laboratory (SDL) of Utah State University designed and built this growing chamber, named Lada for the ancient Russian goddess of Spring. Russian cosmonauts used it continuously for eight years since 2002 to study plant growth in space. They have grown lettuce, peas, radishes, and grain, with the dual purposes of research and food production. The suitcase-sized plot has produced a small but steady supply of vegetables since it was installed. And the research has produced valuable knowledge about reproducing plants and seeds in microgravity, important knowledge for future long-duration space missions. The control center of the experiment consists of a CR10X datalogger and two AM25T multiplexers that monitor a huge number of soil- and air-temperature and water-content measurements, and control the growing environment in the plant chambers. About half of the plant production is eaten by the cosmonauts, and the rest is sent back to labs on Earth for analysis. 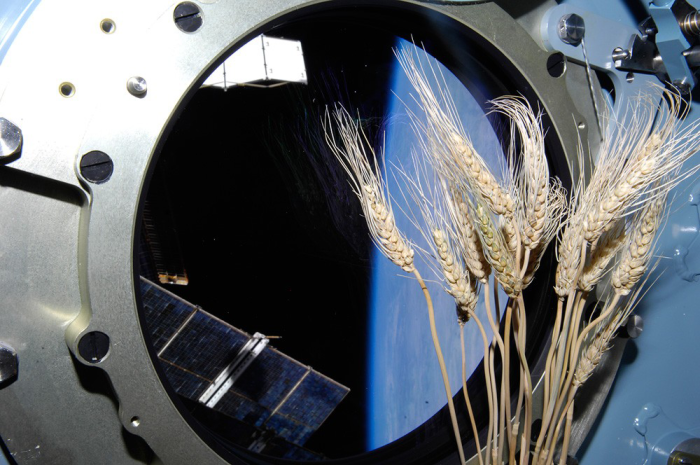 The research has produced multiple generations of crops from seeds grown in space, showing the viability of continued plant production on long space journeys. The latest Lada components were launched in January 2010, and are scheduled to continue on the ISS through 2012. The research has laid a foundation for improving the quality of life for space travelers on long-term missions to come.